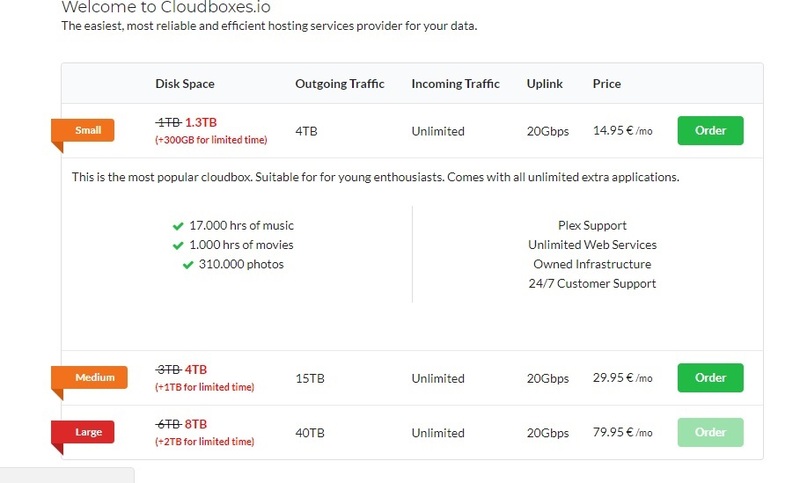 Cloudboxes.io is a new seedbox provider. As per their website they offer strong hardware and software so your data is protected. They only have 3 plans available – Small, Medium and Large. All of the plans come with 20Gbs uplink and unlimited incoming traffic. Outgoing traffic, however, is limited to 4TB for the Small plan, 15TB for Medium and 40 TB for the Large. Only Paypal payments are accepted and they have a 7 day money back guarantee. If you decide to cancel your seedbox before 7 days, you will be refunded based on the traffic used or the number of days you have had your account for. Cloudboxes.io fortunately supports public trackers and we were able download 8 current popular torrents. Initially we were confused becuase the they offer 20Gbps uplink but the download and upload speeds seems to have been capped to 9.7Mbps. For some reason, the default setting was set to 9.7Mbps. We changed it unlimted and we were able get 65Mbps download speeds. In today’s businesses, it is very important to understand customers’ needs. Why? It’s because almost all of the consumers have social media presence and it is easier for them to give feedback publicly. Cloudboxes.io’s support can only be contacted via opening a ticket. They have a wiki page but it’s not complete. After getting the seedbox, we were not able to access the webUI due to some errors and they were able to provide a resoluiton within just a few hours. When ordering a seedbox, you will get 3 options for your client – uTorrent, Deluge and RuTorrent. We chose rutorrent and it already comes with plugins like rss, schreeshots, create and unpack just to name a few.